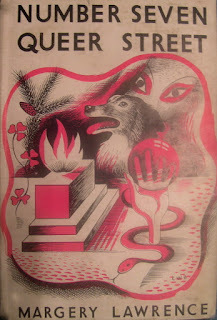 A few weeks ago, in Part One of this thread, I shared some of my initial thoughts about a short yet inspiring and beautiful article on the Signs of the Zodiac written by Maiya Curtis Webb and published in a 1919 edition of The Occult Review. 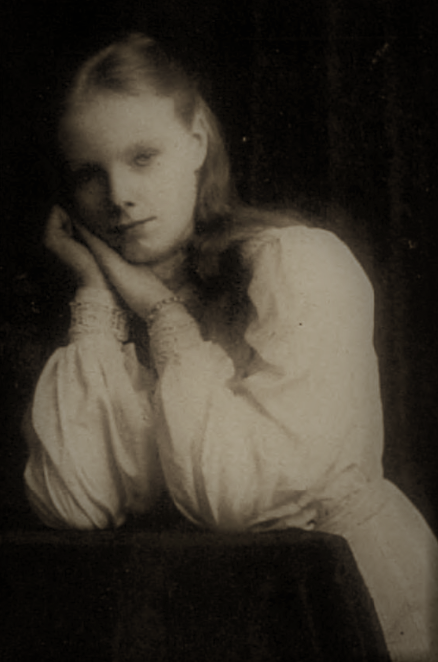 For this blog - Part Two - we now move a little backwards in time, to the other side of the Great War and to what appears to be the one surviving fictional story written by Maiya which is available in the public domain. 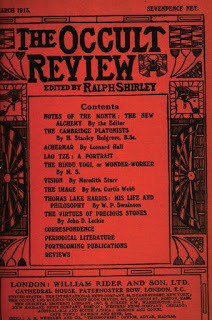 Her story was published in a March 1913 edition of that same august publication, the cover of which is shown below. Alongside these tasty morsels are other articles, the usual smattering of letters from occasionally indignant readers, and some book reviews. In Maiya’s piece, we find the style similar to many of the other short stories of the same occult vein. There are certainly similarities in style to the later short stories by Dion Fortune (whom you may recall was Maiya's student), Christine Campbell Thomson (writing as Flavia Richardson) and perhaps even Margery Lawrence with her memorable, Number 7, Queer Street (pictured below). There is also a passing reference in the story to the Atlantis mythos, so popular at the time, and also a foundational aspect of Dion Fortune's own worldview and inner lodge workings. It's tempting to wonder just how much this story influenced Dion Fortune's own writing style, particularly in terms of her earlier Dr Taverner short stories. SOME objects, as well as some people, have a very definite atmosphere. It is not given to everyone to perceive this, but to the fortunate few who do it is intensely interesting. I wonder if being Irish has anything to do with it? Have you noticed that when one is introduced to a stranger your friend almost invariably remarks, “You know, he or she is Irish.” Now have you ever heard anyone make the same remark of an English, Scotch or Welshman? Perhaps a little of the magic of the days when our far-off ancestors fled from the deluge and submergence of Atlantis, still clings to us - for occult tradition holds that some few survivors landed in Ireland, and banded down to their descendants a little of their great store of knowledge of natural forces, and so the Irish have always been just a little more inclined to mysticism than their neighbours. Therefore, when Dawson came into my room one day and laid a large paper parcel beside me, and on opening it I found the figure of an Egyptian god, I felt it wasn't just an ordinary piece of wood. He had got it in an old shop, where it had been for years and years and knowing how interested I was in such things, had bought it for me for a few shillings. It stood about a foot and a half high and was evidently very, very old. The face had a distressed expression and was much battered, and most of the paint had been rubbed off. Down the back and front was a band of yellow paint with the remains of an inscription. So far it looked very like a little mummy, and had evidently been fastened on to a stand, as a piece of wood projected below the feet. I was delighted with my present, as such things didn't often come my way, and I stood it up on a book-case in a comer of my bed-sitting-room. After the first novelty had worn off, I took little notice of it, as I was working very hard for an examination which claimed all my attention. But one day, about three weeks after, I happened to be rearranging some of my things and took the figure down and laid it on its back on a table; it seemed safer, and certainly looked better thus. That night I couldn't sleep and felt restless and uneasy. I tried to read, but couldn't fix my attention on anything. I made some tea, and finally began to fiddle with the things on my table, and without any reason stood the image in its original place-when suddenly all my restlessness left me and I got into bed and slept till morning. This happened several times, for evidently the maid agreed with me in thinking the figure looked better lying down, for so she generally placed it. Looking back now, I remember I was always restless till it had been put standing up, though that this was so, had only barely touched my consciousness. About six months after I came home from a fortnight's holiday. I arrived rather late and very tired after a long day's travelling. I got to bed and slept almost immediately. Dreams soon took possession of me, processions of lovely vivid colours, the rhythmic sound of feet and great majestic buildings. Then the low death chant of priests, that chant all on one note corresponding to the colour vibration of the dead man or woman which is said to sever the astral from the physical body. Louder and louder it swelled, and then died away in an exquisite note that caused one's very soul to vibrate. My vision got clearer, and I seemed to be looking into a large building which contained statues of all sizes. Round me I saw a great stretch of desert, golden and red with the wonder of the setting sun. Just beside me, but inside the building, stood a young man and a little boy. They each held a bowl of incense, which gave out a pungent smell, and the smoke of which veiled everything mysteriously. They seemed to be standing by a quiet form in many wrappings which was covered by a network of dark blue beads. Their faces were dark and inscrutable, like those of all eastern nations; it seemed to me that trouble was in their hearts. They appeared to be listening to the chant, which was getting fainter, till now it sounded like the hum of an insect. The smoke from the bowls got denser, till everything was obscured, then it too passed, and I was left with the feeling that the quiet dead had wished to be alone and watched by the figures of the gods, till the call should come to it to arise, so that it might once again take up its work, and feel the call of life and love, when its time of rest was over. But before that call had come, its tomb was disturbed and the watching gods no longer guarded the body, so carefully preserved that it might arise perfect, when its summons came. All this time the chant still went on, but now I felt hands touching me, gently pressing me my eyes and mouth-getting heavier and heavier so that I could hardly breathe. The chant got louder, but its note had changed into a whispering, which seemed close to my ear. Words gradually formed themselves. “Don't let them get into your mind - keep them out." “Wake up." “Wake up. Nothing can harm you, if you don't let them in. Wake up, or you are lost." Now the words were almost a scream, the weight on my body was getting heavier and heavier, and with a tremendous effort I did wake up. The room wasn't quite dark, as the dawn was just breaking, but it was full of moving bodies, and the voice still kept on repeating the same words. Hardly knowing what I was doing I turned the electric light on, and when I could see properly my heart stood still-for there, between me and the door, right at the end of the bed, was a grey mass of cloud-like thick smoke, ascending in spirals, moving but always keeping a definite form. So thick was it that the door was quite invisible, even the brass handle and plate were obscured, a heavy smell was over everything, and the voice still kept repeating the same words. Up to this the meaning of them hadn't penetrated into my mind; but now, with a start, I realized that I must protect myself from something, and I knew this was nothing physical, but that I was in grave mental danger, and that only by a supreme effort of will could I escape. As I gradually regained control of myself the terror and distress left me and my own lips repeated, “Nothing here can hurt me," but it was a hard mental struggle before I felt I was safe. All this time the grey shadow was still there, but as I got complete grip of myself it began slowly to disperse, and I watched the panels and door-handle gradually coming into view. It took quite a long time to go, and I had time to look at my watch and note that the hour was close on -4.30. I wondered what was the meaning of all this, and suddenly thought of the image, and looking for it in its usual place found it had fallen down and was on the ground. Somehow now all physical fear had left me, so I got out of bed, picked it up and replaced it, this time with a heavy weight to keep it steady. I was mentally shaken, and knew there was no more sleep for me unless I bad some human companionship first, so I went across to Dawson's room, which was just opposite. I was unwilling to disturb him as he worked very hard, but I felt I had been through an experience that justified my doing so. As a rule he is a sound sleeper, but to my surprise hardly had I opened the door than he jumped out of bed with, "Good God, Carson, what is the matter? I have been dreaming you were in dreadful danger." He came back to my room, and I told him what had happened; he was interested, as he knew something of such things, and his own dreams or subconscious mind had told him something was happening to me. However, a whisky and soda and a cigarette soon reduced us to our usual frame of mind. Next day I presented the cause of the trouble to the Tottenham Museum, where it can be seen by anyone who has the curiosity to go and see it, and since then my nights have been undisturbed, but one wonders why such a healthy normal individual as myself should have been visited, and what was the reason for a tiny thread in the veil of time to have been drawn so that a glimpse of the past was shown me. Perhaps some vibration from the little image had touched some chord in me, and after all, are we not all made up of millions of human beings, and a tiny grain of me may have witnessed the scene of long ago and that, coming in contact with another grain, have vibrated and so reproduced it as a picture? But why the voice, and what was I in danger of?